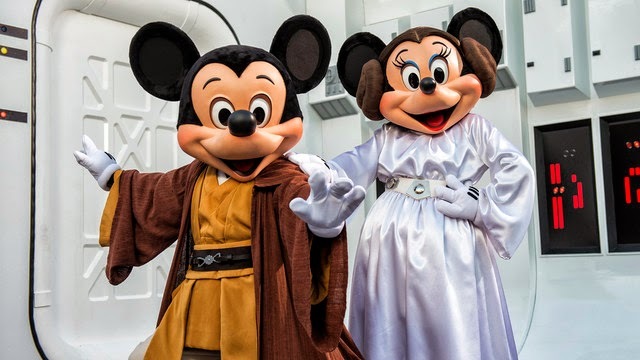 Jedi Mickey Mouse and Princess Minnie during Star Wars Weekends. Photo by Disney Parks. Disney Hollywood Studios is adding new character dining experiences exclusive to Star Wars Weekends from May 4 to June 15, 2014! Starting March 26. Never before have the characters been available for character dining and by the looks of the lineup it's impressive... most impressive. The Fantasmic! dinner experience at Hollywood and Vine has been transformed into a Star Wars™ themed venue where Mickey, Minnie, Donald, Goofy, and Chip & Dale will all be dressed as their favorite Star Wars™ characters (Jedi Mickey, Princess Leia Minnie, Darth Goofy, Stormtrooper Donald, and Ewoks Chip & Dale). The characters will meet and greet and interact with Guests throughout the evening. A digital photo of the party with the Ewoks Chip & Dale on a commemorative PhotoPass card is included. The Sci-Fi Dine-In Theater becomes the Star Wars™ Dine-in Theater for this character dining experience. Characters include Stormtroopers, Jawa, Greedo, and Boba Fett and a Darth Vader Meet & Greet after check-in. Additionally, the traditional Sci-Fi clips will be replaced with Star Wars™ clips, trailers and music. A digital photo of the party on a commemorative PhotoPass card is included. Expect to see a Sorcerer Radio Network meet up around some of the dining times mentioned. 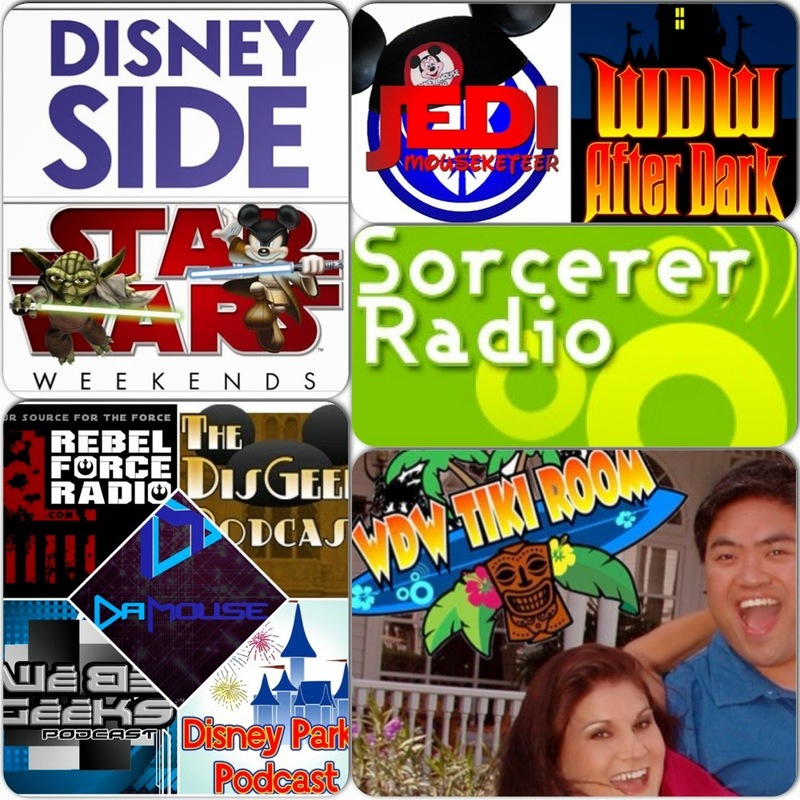 Check back to www.JediMouseketeer.com for the latest news regarding meetups and more!